Initially exclusive to gaming site IGN, NetherRealm Studios have unleashed a new gameplay trailer, put together in a similar fashion to the Scorpion montage released a few weeks back. Today, Warner Bros. Interactive Entertainment and NetherRealm Studios bring fans a chilling new video featuring Sub-Zero and his deadly cold moves that will leave the Mortal Kombat warriors he faces frozen in their tracks in his search to avenge his brother’s death. 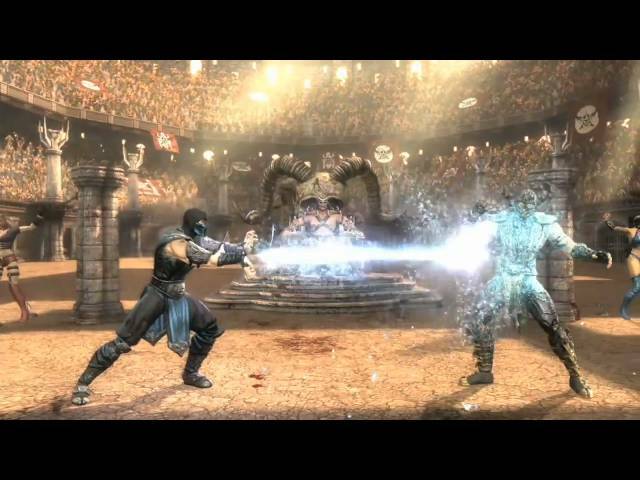 Beginning in Kahn’s Coliseum during a heated discussion between Sub-Zero and Scorpion, the video ramps up quickly as it shows off a number of complex combos. Also contained in the video is a little footage of The Subway arena and Jax, previously only seen in the exclusive reveal by GameTrailers late last month.